Well, we thought it was about time we did an update regarding plans for the coming months…. …. to set the scene, here we are half way through 2008 already & like most people we can’t believe it’s gone so fast. We’ve played 19 shows this year so far which is pretty busy considering we took January off the road to record the “Salvation” EP. Some great highlights including our trip down to Bristol’s Area 81 Rock Club, Leeds University, Monsters Of Mosh Festival (with Breed 77, Blaze Bayley), Doncaster’s Hall Cross Rock Bar, Oswestry’s Fox Inn, & Bradford’s Brewery Tap. Had some great reviews of the EP (check the website reviews page at www.furyuk.com) & had more radio airplay than ever before .… e.g. Bruce Dickinson’s Show at BBC6, Rock Radio Manchester 106.1FM, Preston FM, Total Rock Radio, Hard Rock Radio Live, Hot Rocks Radio.net, JFL Radio, Braingell Radio, Rock247 Online, Overloaded Milton Keynes FM, & we’ve also done more radio interviews & guest spots than ever before (these are all the stations that spring to mind right now, & our thanks also to all those who happen not be listed here!). All-in-all, not been a bad first half in Fury UK world! So what’s coming up? Well as we stand now we have a further 25 gigs booked this year (including another gig with Blaze Bayley), plus of course we have a UK tour with our Swedish friends Core Of Nation to be announced shortly… that’ll be another 8 or 9 dates. There’s one or two other possibles kicking around too. Almost all of our gigs have been in the North of England so far but most of you probably know that in the past we’ve always enjoyed the trips south of our native Manchester. It’ll be excellent that we’re now looking forward to trips to London, Exeter, Birmingham, Stratford & more. We should also mention we're proud to be playing the Bulldog Bash biker festival in August & the Rock of Ages Fest in September - see the gig schedule at our website for details. Regarding recording, there had been a plan to look at doing a new album in August/September. However, the powers that be (i.e. our label & management) tell us that’s not clever because the band is so busy, the focus really wouldn’t be on the recording the way it should be & the way it deserves to be…. they’re right of course! 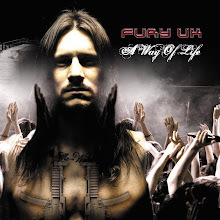 So, with our increasing gig commitments for the rest of the year it’s been agreed the recording of the next Fury UK album won’t happen til January & February 2009 - we’ll be taking both those months off the road. The writing for the album is in fact well under-way & so far going extremely well. We’re at the point of being able to rehearse some of the new tracks & there’s a mix of a heavier feel, with some definite moments of clarity, plus an undoubted progressive element. We’re certain we’ll surpass “Face Of Adversity” by a good way - quietly confident of that & looking forward to getting these new tracks down in a few months’ time. A big thanx goes out to all the radio & press people who’ve commented & supported the band this year so far. It’s been by far our best year in this regard & it’s totally welcomed by the band. Last but not least, an enormous thank you to all fans for sticking with us, whether it’s turning up in good numbers to see our live shows or buying CDs & T-shirts, or simply supporting & listening to us online. Whichever way your support is delivered, it’s definitely appreciated! Our last few outings have seen us at the likes of Wigan, Hyde, Oswestry, Burnley, Bradford. We enjoy getting around but it's also cool to be back on home territory this Saturday at The Wishing Well, Heywood. 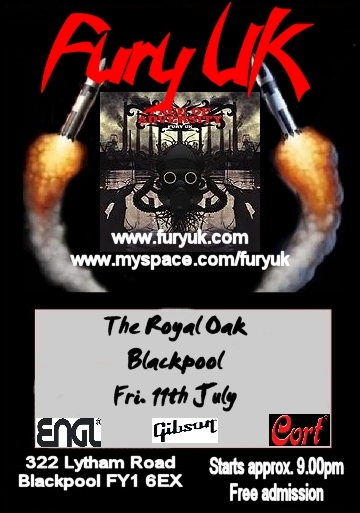 This is one of only two gigs we're playing at The Well in the remainder of this year ... so don't miss!!!! 1st time to the Brewery Tap. However not the 1st time to Bradford! New venue for us, and hell did we have a good time! And hell did everyone in that place have a good time! It was a truly awesome night! We arrived approx 7.30PM, and immediately started setting up. Roadcrew, we had Jason, Crazy Mike & Luke. And of course our manager Mark & other half Lynne! The set-up begins, and the first thing noticed by Adam, (capain Fortay) is the ale served behind the bar. Christ! ‘Yes we know you like real ale’. But for god’s sake just drink the stuff and stop getting off over it. Hehe. So Captain Fortay was happy because he could have his drink of choice after the show. One thing I noticed when we were setting up in the venue was how low the ceiling was, awesome! It was a superb sound. Almost felt like we were in a pirates cave, stone walls etc. Crowd! What can we say, the entire bar staff had FUK t – shirts on! The audience absolutely took to the ‘Hot as Fuk’ thongs like a treat. They were hot for them, as they say! They were truly a pleasure to play for. Very attentive & heated audience! Highlights of the set for me, were ‘Salvation’. We play the 3 track Single now every time we play live, so it’s defiantly one of the strongest songs we do. But this particular night it was a complete assault on the system! Along with that ‘Lost In Forever’. Same thing again! Spot on, if I do say so myself. We tried a tune that we’ve never done live before. We did a cover of Deep Purple’s ‘Burn’. And we knew secretly before we did it, it could burn either way! But it certainly Burnt the way we wanted it to! And of course when is there a night when Death By Lightning does hit you Lightning. For finishing the set off! In addition to that, Martin’s drum solo before ‘Breakthrough’ seems to be getting better and better! Common referrals of his style are John Bonham, Bill Ward with hints of Tommy Aldridge & Neil Peart. Can’t argue with that! If I were a drummer I’d be happy with that! Fantastic night! Great people! Look forward to seeing you later on in the year! 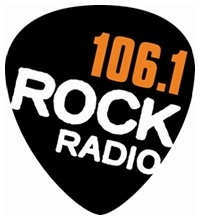 As we reported yesterday Fury UK are delighted to be winners of the Rock Radio Manchester (106.1 FM) "Future Classics". The band was nominated by Rock Radio but the final outcome was on a public vote. This was celebrated with airplay (Friday 6th June) for one of the band's songs "Manslaughter" & an interview with DJ Paul Anthony on his show. To listen to clips from the interview please go to the band's MySpace at http://www.myspace.com/furyuk & check out the blog "Listen To The Rock Radio interview clips here"
To tune in to Rock Radio Manchester on your radio it's 106.1 FM or to listen online just click on the image below to go to the station's website. Thanks again to everyone who voted for the band, we apparently achieved 74% of the total votes cast. Also thanks to everyone who took the trouble to email & text into the show with your comments - awesome! Finally, thanks to Rock Radio & Paul Anthony for setting this up & for supporting bands in this way. We're well chuffed to have been voted top "Future Classics" band this week at Rock Radio Manchester 106.1FM. We didn't originally realise we'd been put forward for this but major major thanx to everyone who voted for us & to Rock Radio for nominating the band. Awesome! One of our songs gets airplay tonight on Paul Anthony's show (7.45pm - Midnight) & we get to be interviewed on the same show. Make sure you tune in! - listen on FM 106.1 or click on the image above to go to the station online.